History and Healing in America: Can Governor Northam Help or Hurt? 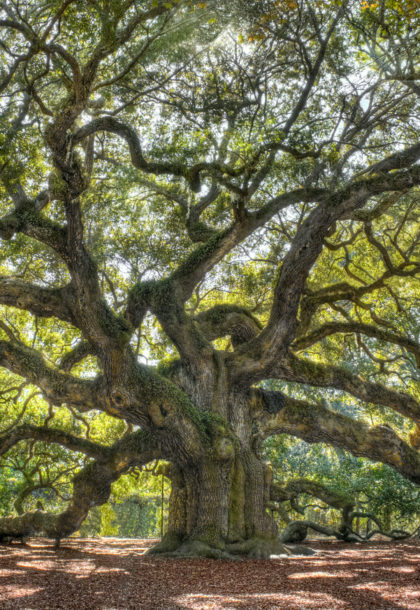 A few years after my mother was born in 1937 in Fayette, Mississippi, my grandfather, a carpenter, farmer, and contractor planted a live oak sapling in their front yard. He planted it in the center of the yard in front of the house he built for his family to grow along with my mother. 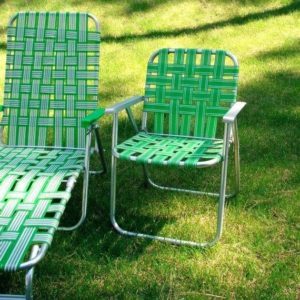 Every summer while I was young we’d sit under that grand live oak in lawn chairs, you know the kind that left an imprint on the back of your legs and that you could replace the vinyl strips if they started to wear out. 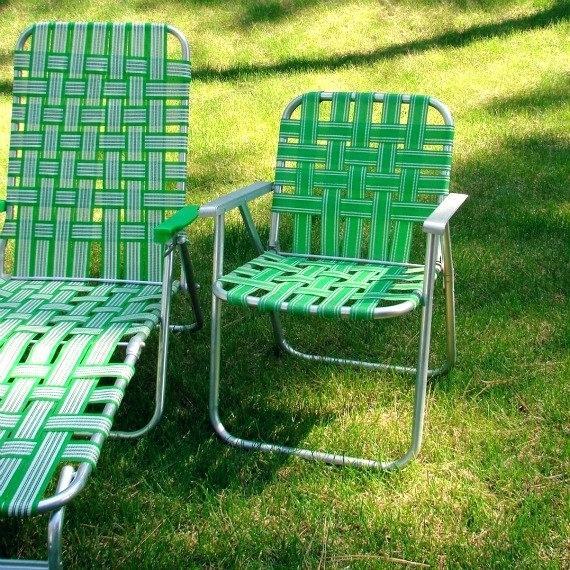 We’d eat a watermelon to cool us in the hot Mississippi evening and listen to my grandmother tell stories. The tree was immense with thick and hearty branches. The trunk was massive and had its own stories to tell. A knot from a tractor wound, a limb lost to a thunderstorm. 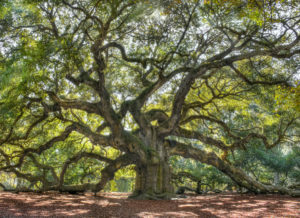 Its roots spidered beneath our feet and its canopy of branches leaned over the inner sanctum of our family’s marking of time. We marveled over and over again at its amazing growth and its story. The stories we heard taught us we were justice seekers, those who resisted the brutal racism that had defined Mississippi for generations. They were powerful stories, even if incomplete. As an adult now I continue to seek out the subtleties and contours and shadows of my family’s good fortune in the midst of Mississippi’s history of land stolen from Native Americans, slavery, Jim Crow, segregation, and racial intimidation that continues today. And while I know my family has done some good things through the generations, I also know we have participated in, benefited from, and been shaped by systemic racism and white supremacy culture. Nothing lives longer or grows bigger than trees—not whales, not elephants, not people, not anything else that lives or breathes. One of the survival skills trees have is they way they respond to wounds and disease. The knots or burls on trees compartmentalize the vulnerable spot by directing energy to that area after the injury. Over time, healthy trees create a kind of container for the wound that keeps it from spreading and strengthens the rest of the tree. It’s a beautiful system of healing wisdom and a long-term approach to well being. We’ve been hearing a lot lately in the public square about how our wounded history does and does not inhabit our collective lives as Americans. Conversations about race ignite our central nervous system in America time and time again. Reactions are intense and inflammatory from all kinds of people. We are all children of a traumatized past and present in our country. How do we heal from something that still looms so large in all of our systems, in our relationships, in our expectations, and in our capacity to hear each other? The Governor of Virginia is feeling the sting of these questions as revelations of racist pictures from his young adulthood emerge. While the governor’s medical school yearbook is the most recent catalyst for this conversation, focusing only on him as another individual who has racist mentalities and/or behaviors threatens to obscure that this is a persistent dilemma facing our nation—how do we heal from chattel slavery and the genocide of First Nations people when so much energy is expended on denial and defensiveness when these question arise? I feel heavy with the seeming impossibility that Americans can truly share this old and tenacious grief. The pain is so real, so present, and yet we pile on more pain every time the wounds are exposed. I long for a way for us to acknowledge the pain together and for a way to surround it with the best healing energy we can muster. I long for a way for us to stop causing more pain with the way we respond to pain, and to contain the disease. How can we contain the disease if we can’t name it, if we can’t trace all the veins and capillaries of its reach into our unconscious and conscious thoughts and impulses? We even lack a shared diagnosis and language about how to talk about the symptoms. Trigger warning: What follows here is not going to be easy for some white-skinned folks to read. Back to Governor Northam of Virginia—the most recent case study of our American disease. One potentially helpful aspect of this particular situation is that Mr. Northam is a Democrat. It’s too easy for liberal/progressive types to think racism is a problem conservatives have. The first thing we need to acknowledge is that racism is not a partisan issue. It is human issue. It is a disease of our collective soul. Yes, it has been a political chess piece throughout America’s history; but, trying to bundle it as a political program or a problem “the other party” has is an epic lie we tell ourselves. White supremacy culture impacts everyone—no matter your skin color, no matter your financial situation, no matter your level of education, and no matter your politics. We have all internalized it. The disease is in each one of us in varying degrees. And without intentional work to acknowledge and contain it with your most robust strengths, this disease will continue to weaken the overall system. Some carry the weight and the adverse impacts of this disease more than others. And people of color carry the heaviest weight of its destructive impacts. If you’re one of those people who says we should move on or not have to carry the weight of a history you didn’t have a part in, tell that to kids of color in our public schools who are still disciplined more harshly and educated differently because of their racial identity. Tell that to African American mothers who have higher infant and maternal mortality rates even when we correct for things like level of health coverage, education, and economic status. Tell that to the descendants of enslaved people who don’t have access to family histories because their families were ripped apart in the slave trade. Tell that to people of color who are less likely to get loans, more likely to have chronic disease, and still experience life diminishing (and even life ending) discrimination in the job market, in courtrooms, in stores, and on routine traffic stops. Every time a white skinned person says, “I am not responsible for the sins of my ancestors,” take a minute and think about the impact of that statement. Why should white bodied people feel free of the trauma of the past, but black and brown bodied people have no choice but to still deal with the legacy of generational trauma? Just the suggestion that history is not something all of us carry is a violation and dismissal of the realities communities of color live with every day. The belief that somehow a life can exist in a historical vacuum where an individual bears no connection or responsibility to the past, is a strange denial of every lesson of the natural world around us. Nothing stands apart from the history that gave birth to it. Some of the most stealthy and destructive carriers of white supremacy culture are white liberal/progressives—I told you this would be hard to read! White progressives struggle to own our own particularly harmful ways of perpetuating white supremacy culture. Governor Northam is a good example of this dynamic. He would like us to focus on all the good things he’s done for black people during his career. Treating poor black families in his medical practice for free, legislating to expand Medicaid and to extend voting rights to felons. He has been seen by many people of color as a political ally. But the current challenge for Governor Northam is that true dismantling of white supremacy culture includes ceding power and acknowledging the paternalism and dysfunction in many of the traditional ways white people with power have “helped” black communities. He’s being asked to own his own blind spots, his inability to truly take in the impact of his actions on communities of color. And instead of listening and being changed by what he is hearing, he is hunkering down to protect his power seat. Two more character traits of white supremacy culture are staring us right in the face: power hoarding and the belief that “I” am the only one who can do this right. I hear a lot of either/or thinking in the way people are responding to Governor Northam’s dilemma, another character trait of white supremacy culture. He either knew about the yearbook picture or not. He is either racist or not. He is either a good person or not. He is either forgiven or his life is ruined. Removing the blinders of white supremacy culture helps us to see the both/and reality of Mr. Northam’s life and all of our lives. He has done some terrible things and some great things. He cares about communities of color and he has harmed communities of color. He has the skills to be Governor and he has lost a big part of his moral authority and trustworthiness, which are both required to do the job well. The tragedy of this unfolding situation will not be a man’s political career suffering a blow; the tragedy will be a missed opportunity for him to show American what healthy white male leadership can look like in a wounded country. What if Mr. Northam told us the story we need to hear—the story of him waking up from his white obliviousness to the impact of his actions, the story of him realizing that charity does not often yield equity, and the story of having the moral courage to share power and admit that there are others who can do the job better than he can now? And even if he believes he can still do it well, he could acknowledge the harm done by these images and the hurt that comes from his defensive reactions to the pain people have shared with him. He could acknowledge and embody the fact that his actions result in real loss, for him and for people of color. And what if his act of healthy leadership allowed more of us to lay down our fear of open conflict and our sense of entitlement to comfort in our understanding of history? He could help more white Americans lower our defensiveness and begin to see how we carry both/and histories of oppression and liberation within us. Governor Northam could offer his story to help to contain the disease by stopping its spread. In generations to come we could remember this story and marvel together at the way the knots and burls of our wounded past made room for new growth, stronger roots, and a nation that stood the test and trials of time. Thank you, Marcia, for your insights, vision, wisdom. I pray again, that your words wake up more people to the imperative of dismantling white supremacy culture, first internally, then externally, to benefit future generations. Thank you, Mary, for all the work you are doing. Well written, Marcia! I am so glad to know you! Thank you, Marcus. The feeling is mutual! I am grateful for you. I like diagnosis and prescription. It’s hard for me to imagine a political leader…even one with exception integrity and values…being confessional and ceding power. Are there examples of such leaders? Thank you for this well written article. Your insight is phenomenal and I thank you for sharing. Thank you Marcia for another thoughtful, well-written essay. As a lifelong student of history, I have always advocated, as you may recall, for studying, analyzing, and learning from history to understand how we arrived at where we are at present, to help understand who we are. Then taking that information to determine how we can move forward in a way that is beneficial for all, respectful for all. Moving forward for the good of America and all its inhabitants. Thank you again Marcia. Best wishes to you and John. Lost track of your blog. Sat with Sara Turner in worship this morning, and she still had you on her network. Good to read your stuff again, even about my native state of Mississippi. Thank you, Dudley. I am grateful that you found your way back here. Blessings to you!